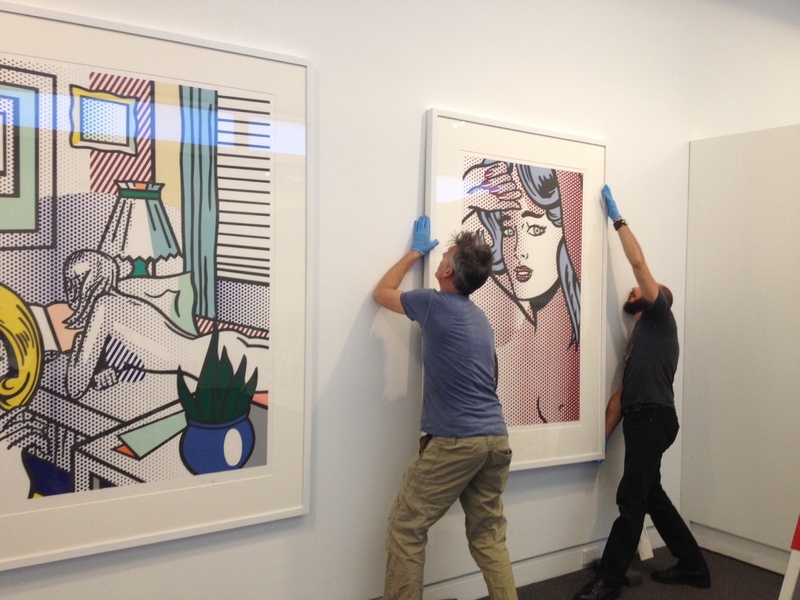 The Tyler team spent last week in Victoria installing the Roy Lichtenstein: Pop remix exhibition at Mornington Peninsula Regional Gallery (MPRG) http://mprg.mornpen.vic.gov.au/. Thank you to all the fabulous MPRG staff and volunteers who made the install a breeze! To give you a taste of what’s on the walls, check out the below shot of install week. If you live in the area, make sure you don’t miss the opportunity to see over 80 works by Pop Art icon Roy Lichtenstein. The exhibition includes rare behind-the-scenes film footage of the artist at work in Tyler’s extraordinary workshops, as well as images from our candid photography collection. A comic-inspired catalogue accompanies the show and is available at MPRG for the special exhibition price of just $20!